Hoover washing machines are the perfect blend of technology and style. 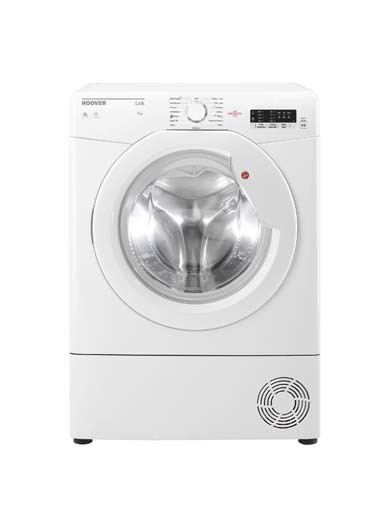 This 8kg washing machine in white with a 1400 rpm spin speed can easily handle the laundry requirements in busy households. There are 15 programmes including quick wash options for when you only have a few items, as well as the usual cottons, sports, baby hygiene, delicates and ActivEco. You can also adjust the temperature and spin speed on certain programmes, customising to your needs. This appliance features Hoover One Touch connectivity so it can be controlled and managed via the Hoover Wizard app and your smartphone. The A+++AA energy rating makes it very efficient to operate and run and the intelligent wash technology ensures you always get the most efficient use of water and time for each programme and load.